Upgrade to 3ds Max 2015 or 2016 ? 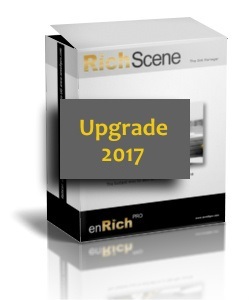 Use this if you already have an installed version of RichDirt or RichScene for Max 2011,12,13,14,15 or 2016 and are interested in purchasing a license for 2017. 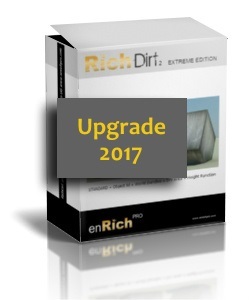 RichDirt licenses for 3ds Max 2010 can not be upgraded. The upgrade scheme supports "jumps". Unlike 3ds Max where you for example can not jump from 2014 to 2017 RichDirt allows jumps. You can directly go to 2017, even if you do not have a 2016 upgrade. Your machine park also has installs of 3ds Max 2011, 12 , 13, 14 ? Existing keys remain valid. To add keys for "old" machines buy a 2017 license, mail for details how to activate it with older machines.